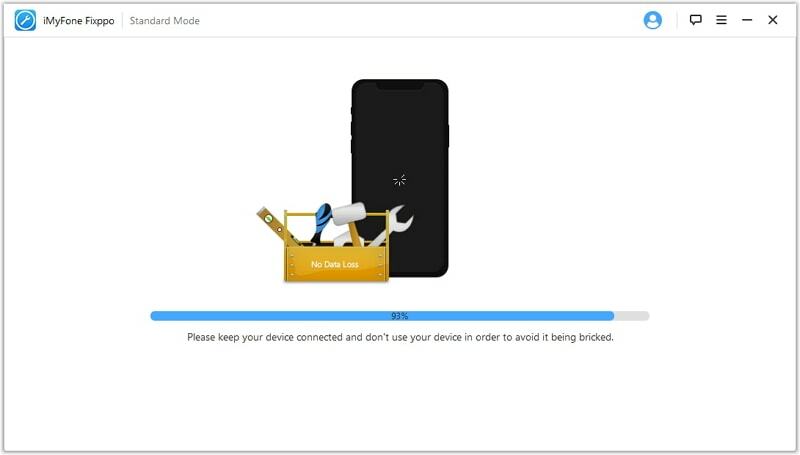 If you bought a second-hand iOS device and are unable to set up the device because it is linked to its former owner's Apple ID, you are in sticky situation indeed. You will be unable to use the device unless you can get a hold of the seller and ask them for the password. All iOS devices use a security feature known as an activation lock which is a security measure put in place to prevent anyone from using the device in case it is stolen or lost. This is a good security measure but may make this hard in a scenario where you've bought a second-hand device and for some reason the owner hasn't provided the password. If this is the predicament you find yourself in, we are here to help. This article will help you remove Apple ID from iPhone even if you can't access the password. An Apple store may be able to bypass the Find My iPhone feature for you but they will not be able to help you unless you can prove without a shadow of doubt that the device is yours. Therefore, A better option may be to reach out to the owner and have them delete the device from their account. Once they have done so, you will be able to set up the device as new and set up your own Apple ID and password to use. 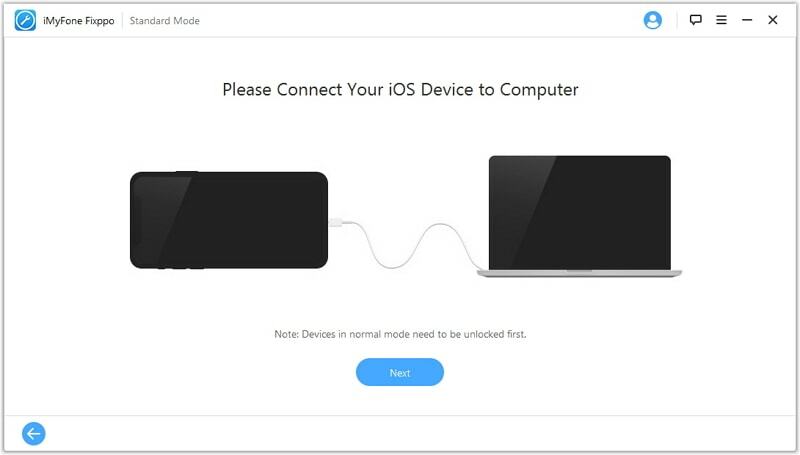 If you are unable to reach the device's owner, you can use iMyFone Fix iOS System's advanced mode to bypass activation. This tool is designed to help you fix any issues with the iOS system and as such may be able to help you in this case. Some of its features include the following. It is easy to use, fast and reliable. All you need to do is connect the device to the computer and the program will work its magic. It is compatible with all iOS devices and all versions of the iOS system, including the newest iOS 12 and earlier versions. 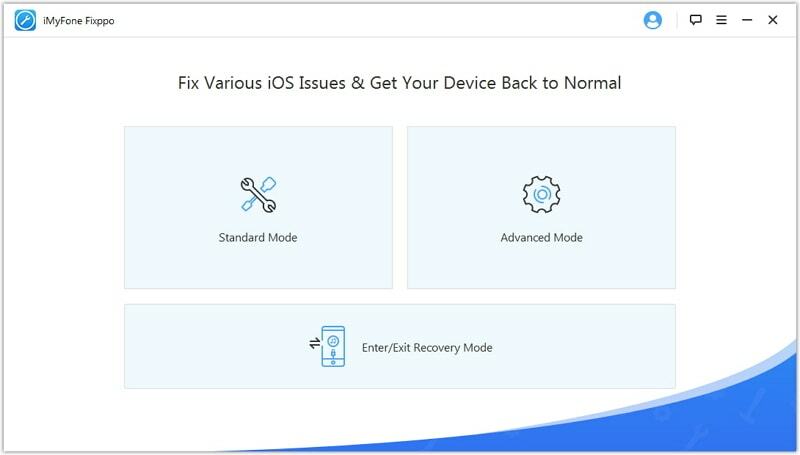 It is reliable when fixing just about any issue you may be having with your device including a device stuck in recovery mode, a device that is stuck in DFU mode and a device that simply won't work as required. Here's how to use this program to bypass the activation. Please make sure that Find My iPhone is turned off. Step 1: Download and install the program to your computer and then launch it. From the main window, click "Start" to begin. Step 2: Connect the iPhone to the computer using USB cables and then click "Advanced Mode". Note: All the data and settings on your iPhone will be erased by using "Advanced Mode". Step 3: You may be required to download the latest firmware. 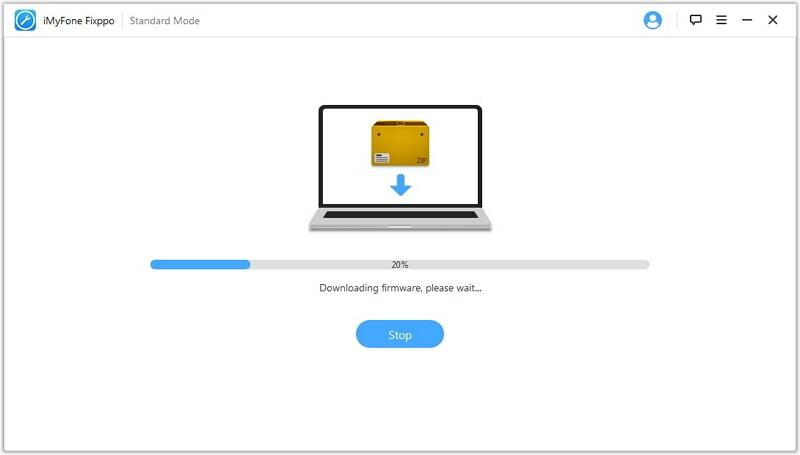 The program has already detected the latest firmware, all you need to do is click "Download" and then wait for the download to complete. Step 4: Once the download is complete, the program will begin repairing the device. Wait for the repair process to be completed and the device will restart without the password restriction. And you can start to set up your iPhone as a brand new one. Another way to unlock the device is to use a paid activation service online. One of the most reliable is https://www.officialiphoneunlock.co.uk and the following is a simple guide to help you use it. Step 1: Go to https://www.officialiphoneunlock.co.uk and then click "iCloud Unlock" on the left side of the window. Step 2: in the next window, select your iPhone model and enter it's IMEI number. 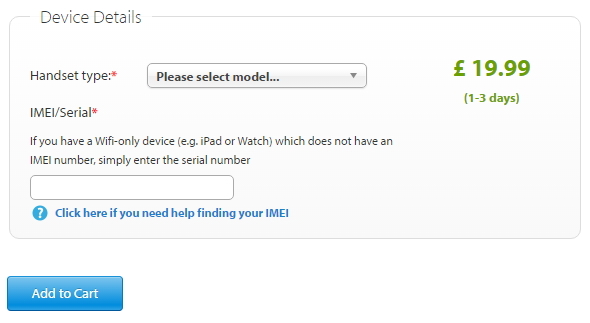 If you don't know the IMEI number, you can click "Click Here if you need help finding your IMEI." Step 3: Click "Add to Cart" and make the payment. You will receive confirmation that the device has been unlocked in 1-3 days. Step 1. You have to turn off your iPhone then connect it with iTunes on the computer. Step 2. 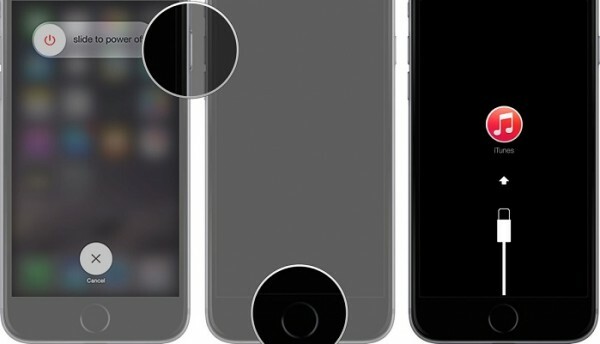 Keeping holding the home button until you see an iTunes logo on the device. Then it's time to restore your iPhone with iTunes. Note: It may cause your iPhone to get stuck in recovery mode, so we suggest it as the last resort. Compared with the three tips, the first methods to remove Apple ID with iMyFone Fix iOS System is much more safe and reliable. Give it a shot now!